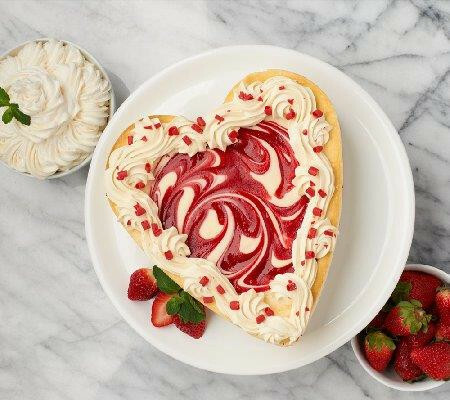 Our original New York cheesecake is blended with premium white chocolate and swirled with fresh strawberry puree. This beautiful creation is hand-finished with a border of homemade white chocolate mousse. Then we sprinkle red chocolate shavings for festive touch. A perfect statement for your sweetheart!